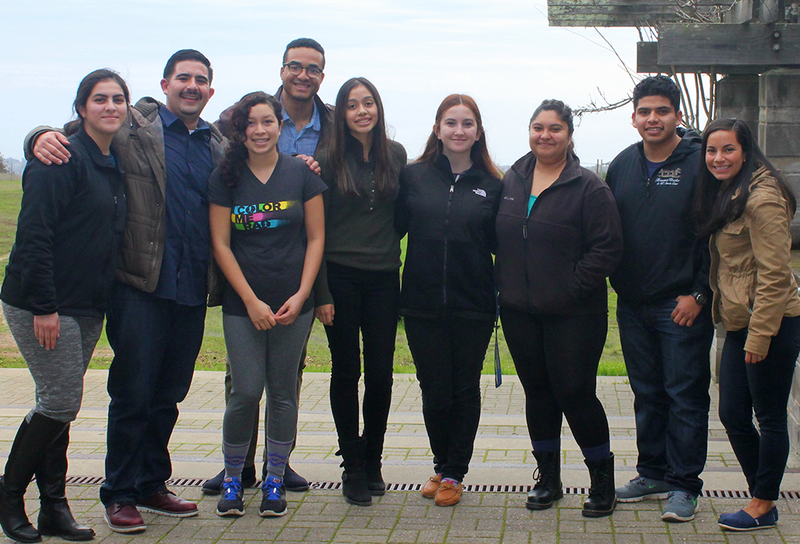 Bay Area College Success mentors Curtis Yancy (far left), Fernando Serrato (far right), and Zuleica Lopez (far right, crouching) with Summer Searchers on the UC Santa Cruz campus. 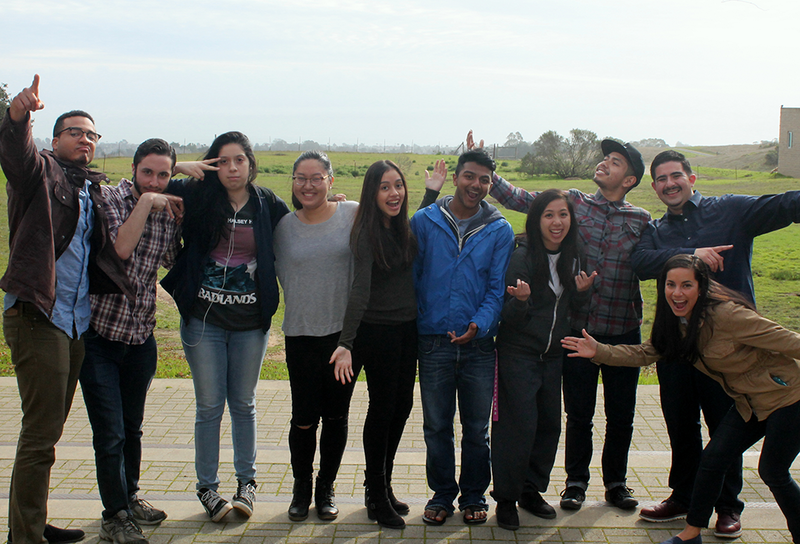 Recently, the Summer Search Bay Area College Success team has been hitting the road and visiting nearby college campuses to meet with some of our college students in person. Our College Success teams support Summer Search students throughout their college years, providing mentoring, financial aid counseling and career exploration to ensure that our students remain on track to complete their degrees. This support is especially important during the first two years of college, which are the most vulnerable for low-income, first generation students. These meetings not only allow each student to check in with their College Success mentor, but also offer the opportunity to connect with fellow Summer Searchers on their own campus, expanding each student’s circle of support. 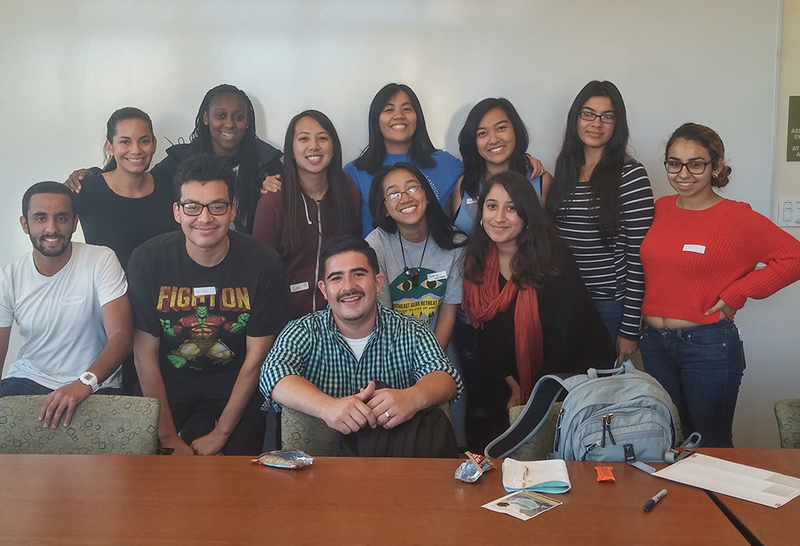 So far this school year, the College Success team has met with more than 80 students in person while visiting nine campuses! We want to wish ALL of our Summer Search college students the best of luck with the rest of the semester! Amazing work team! So exciting to see this connection and collaboration during a critical time!